Financial wellness benefits on the rise in U.S.
Vicky Carroll is getting her financial house in order. Her employer is paying her to do it. 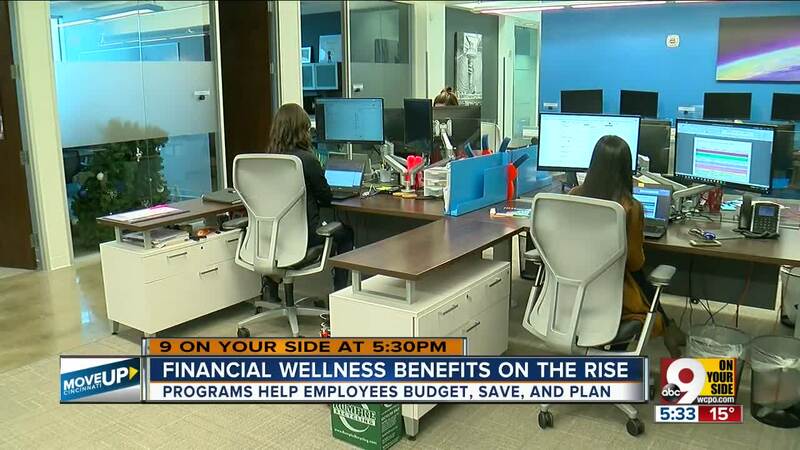 The financial analyst at Fifth Third Bank is among a growing number of employees with access to a financial wellness program at work. She said the bank pays her $600 a year to participate in the program, which helped her reduce student debt, establish a will and plan for health care expenses. A CPA by training, Carroll is a single mother from Milford who grew up in a household where money talk was taboo. She said regular sessions with a financial counselor gave her more confidence in her financial future. Financial wellness benefits are rapidly expanding in the U.S. One survey commissioned by Prudential Financial Inc. said 83 percent of companies offered such help to employees by the end of 2017, up from 20 percent in 2015. A PriceWaterhouseCoopers survey showed financial wellness is the "most desired benefit" that employees don't already have. Economic data seems to bolster Ford’s argument. Unemployment rates fell to historic lows in 2018 yet household debt soared to an all-time high of $13.5 trillion. The economy has steadily improved since the last recession, but wage growth hasn’t kept pace with inflation. And the percentage of American adults living in middle class households declined to 49.9 percent in 2015, down from 61 percent in 1971. That number improved to 52 percent by 2016 but the percentage of lower-income households remained at a 25-year high of 29 percent. Ford visited Cincinnati last week to launch a new financial-wellness benefit at the medical-staffing firm, Health Carousel. SunTrust’s Momentum onUp program preaches an “8 pillar” program that emphasizes regular saving, establishing budget priorities, planning for retirement and building career prospects. Ford developed his program about ten years ago. Atlanta-based SunTrust was one of his early customers. It liked the program so much it bought Ford’s company, which now offers Momentum onUp to more than 160 workplaces, including Talbert House and Health Carousel in Cincinnati. “Health Carousel benefits from having an employee who’s free from stress, able to focus on work and the employees obviously benefit by having a more full financial life,” said Tom Herbort, vice president of compensation and benefits at the 385-employee staffing firm. Johanna Krogh was eager to explore the program after watching Ford’s one-hour presentation. Krogh was particularly impressed by Ford’s “Pillar 1” advice to establish a “financial confidence fund” to cover emergencies. Krogh is in her first job out of college. Carroll, by contrast, worked as a financial consultant in Chicago for 12 years before joining Fifth Third in 2016. Both said they would rather have financial wellness benefits than the equivalent value as a pay raise. With two adult daughters and a pile of student loan debt on which she co-signed, Carroll wasn’t sure how to refinance student debt until she started talking to a financial counselor from AYCO, a Goldman Sachs company that Fifth Third hired as its financial wellness provider. Carroll’s AYCO counselor gave her advice on improving her credit score and kept supplying her with new information on loan options. Ultimately, she found a lender who reduced her interest rate from eight to five percent. Ford said financial wellness programs work for all ages, demographics and income levels. SunTrust claims participants in its program increased their retirement savings by 35 percent and those with an emergency fund increased from 68 percent to 98 percent.